Troy and Bryan are the ginger twins. 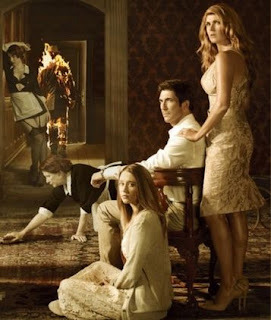 They have the distinguished honor of being American Horror Story's first deaths. Little vandals who went into the Murder House to explore. Adelaide warned them not to go into the house. She said, "You're going to die in there." And they did. Infintata ate them. They are responsible for the Sixth Sense look in Vivien's kitchen in the first episode as well, and my first real chill of the series. 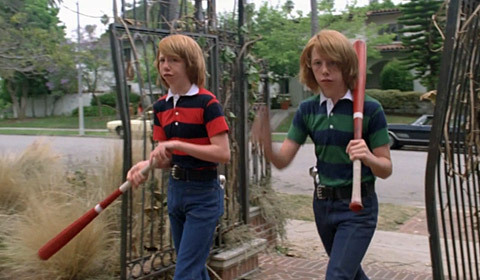 The scripts refer to them as "The Mischief Twins"
The Murder House seems to use them to make distractions. We see them causing mischief but not doing much else. I keep waiting for a big reveal with them but i think they are here to teach us about the rules of the dead in this house.